I got something truly amazing from this blog - my friend Bhavini! She is a friend of my husband's, but we were not in contact before this blog because she had already moved to another state by the time my husband and I got married and we never got the chance to meet. She discovered my blog through my husband and we started bonding over our common love - food! Food may have brought us together but her kindness, compassion, creativity, and zest for life (which food is a big part of!) continually inspire me and make me grateful to have her in my life. Bhavini and I have wanted to do some sort of collaboration for a long time and I am so excited to announce that she has agreed to do a guest post for me - and it's a great brunch recipe just in time for the weekend! This was one of my favorite breakfast foods when I visited my husband's hometown in Maharashtra, India, where it is a common dish. I can still feel myself sitting at the dining table in his aunt's house, windows open to a view of lush tropical plants, the songs of exotic birds and the aroma of spices filling the air. I sat soaking it all in, eating this mystery dish wondering what exactly it was made from and enjoying every single bite. 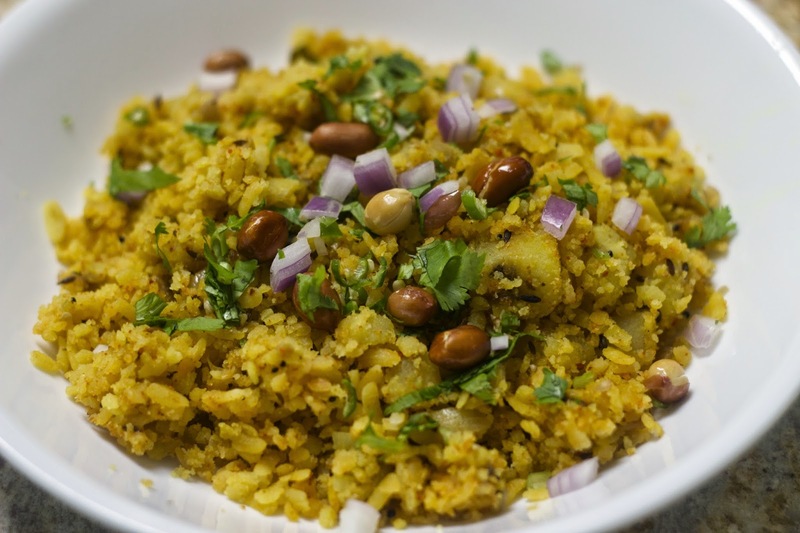 In my husband's language, Marathi, poha is called pohe. This dish will take your taste buds on a journey to India. This recipe is usually served during breakfast, but my hubby likes it so much that I sometimes make it even for lunch or dinner. It goes great with a hot cup of Coffee or Tea. I hope you enjoy this recipe as much as my family and friends enjoy it!! 1. First take the poha in a strainer and keep it under running water for about a minute or two. Rinse it very gently and not too much or else it can become mushy. 2. 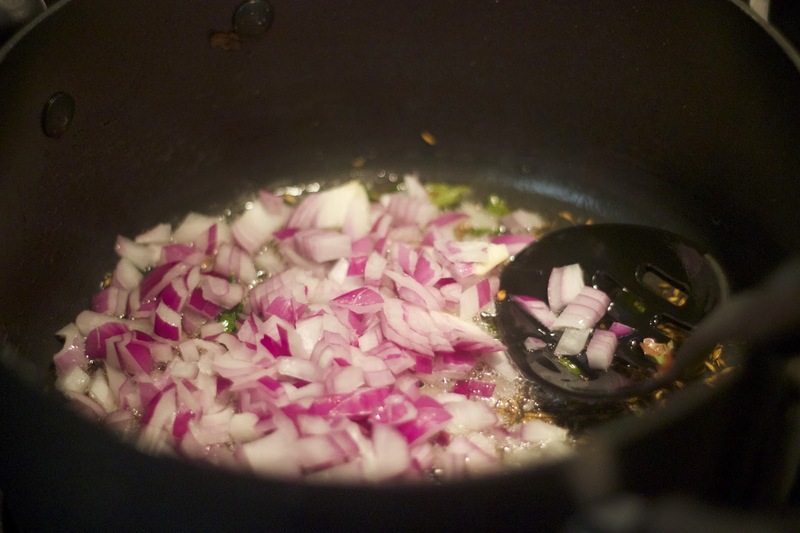 Once all the water has drained out, transfer it into a bowl while you cook the rest of the ingredients. 3. 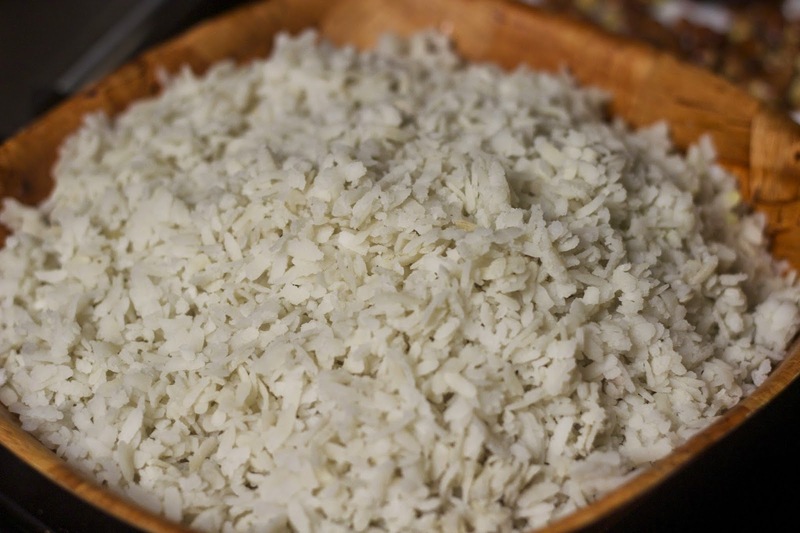 If you feel the poha is not soft and has dried out you can sprinkle a few drops of water. 4. 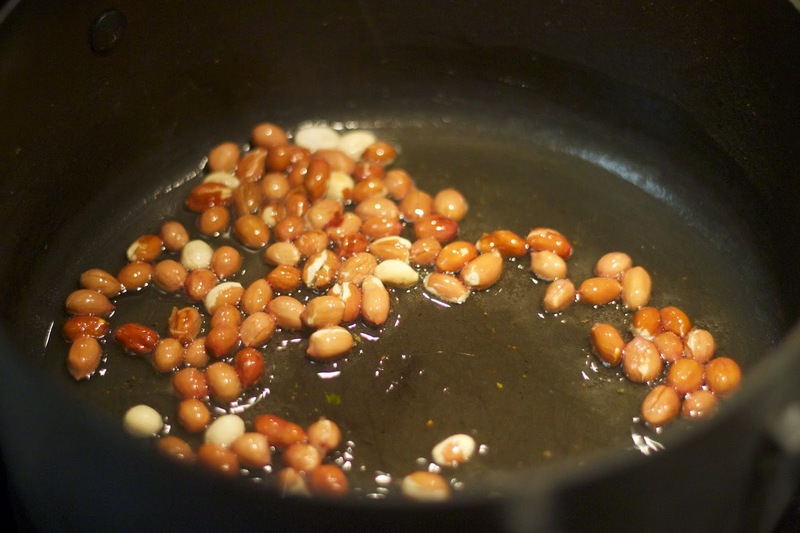 In a pan, add the oil and fry the peanuts till they become a little brown and crunchy. Transfer into a small bowl and keep aside. 5. Now in the same oil add the mustard seeds, cumin seeds and, once they start spluttering, add chopped onions, curry leaves, green chillies and turmeric and stir all the ingredients. 6. 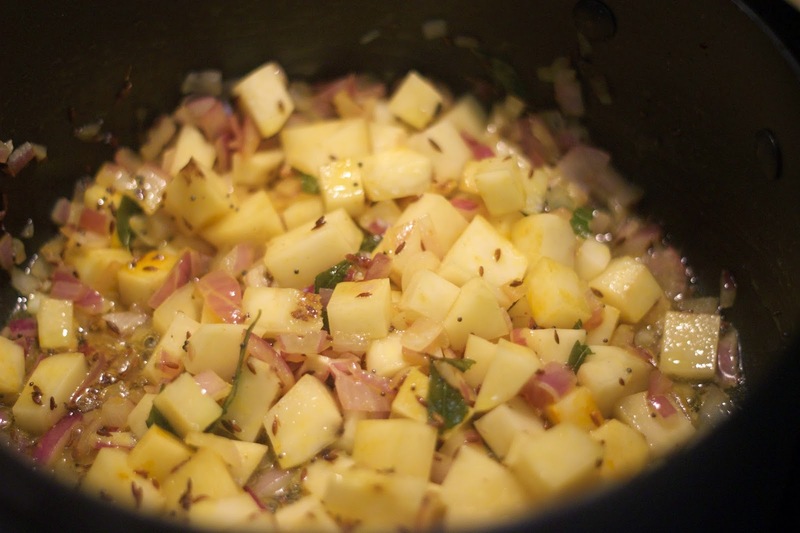 Now add peeled chopped potatoes, salt and stir and keep it at medium heat. Cover the pot with the lid until potatoes are cooked. Make sure to stir in between to make sure potatoes have not burned. 7. 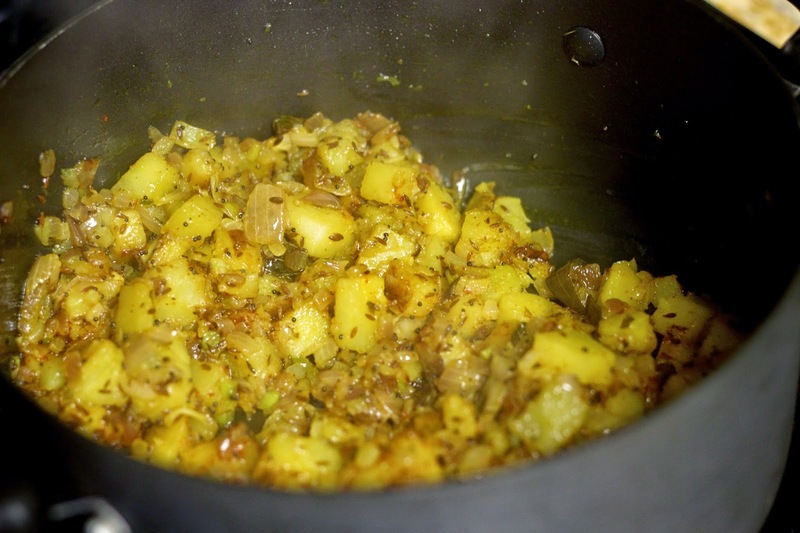 Once potatoes are cooked, add the Poha (Flat rice) and mix gently with the rest of the potatoes mixture. 8. If required add more salt and optional sugar. 9. Now switch off the flame and cover the pan again just for a minute or so for poha to get steamed for a few minutes. 10. 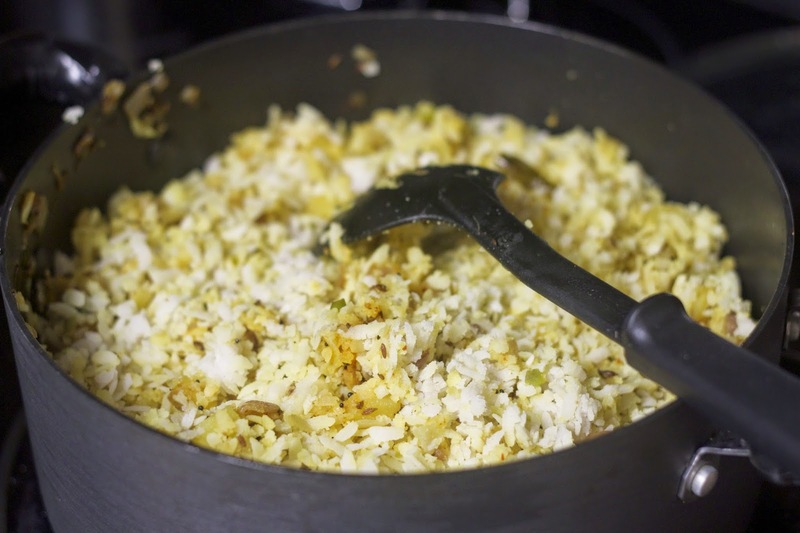 Remove the lid and garnish the poha with chopped cilantro leaves, peanuts, some chopped onions and lime wedges. Thanks Jasmine! It's one of my faves! Thank you for sharing your friend’s lovely dish and the helpful step by step photos! I would eat this for breakfast…looks and smells delicious!